Shoe retailers can now offer the best fitting shoes using the Footstep PRO. Furthermore, using the data measured by the Footstep PRO, sales representatives can educate customers about their feet and provide them shoes that will give them the most support and performance, and meet other needs. This is realized with our "Shoe Navigation System," which is engineered to match shoe data with the foot data measured by the Footstep PRO. 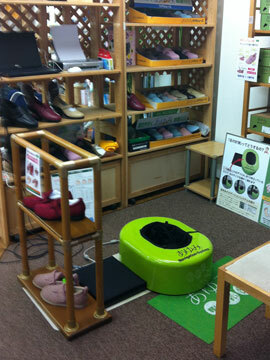 This system also results in improved service, as is helps to speed up the shoe selection process.